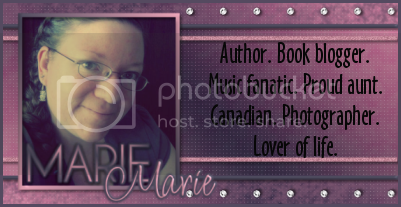 The Book Love Giveaway Hop is hosted by the amazing Jessica from Thoughts at One in the Morning. The giveaway runs from today (October 15th) until October 21st at 11:59pm EST. Since I got my new Kobo, I'm in love with ebooks. Because of that, I decided for the Book Love Giveaway Hop I'd give away an ebook to one lucky winner. These are either novellas from well-known series (most of which you can only get in ebook format), books I've read, books I want to read, or, well, books I've written lol. One winner will get to pick the ebook of their choice from the selection below. All of these are available on Kindle, and most are available for Kobo, Nook, and/or Smashwords, so the winner can choose based on the type of e-reader or app they have. I tried to come up with something for everyone - there's YA, adult, and a couple of erotica books (if you plan to choose those, you must be 18+). Some are traditionally published, some are self-published. I hope you see something you like! *There will be one (1) winner, who can pick one ebook of their choice. *Open internationally as long as you can accept books from Amazon.com, Kobo.com, BarnesandNoble.com, or Smashwords. Availability depends on each individual site. You might want to have a second choice in case your first choice isn't available for your particular e-reader/app. *You must be a follower of Ramblings of a Daydreamer. That's the only mandatory entry. All other entries simply get you extra chances to win, but you do not have to do them - it's up to you how many you do.